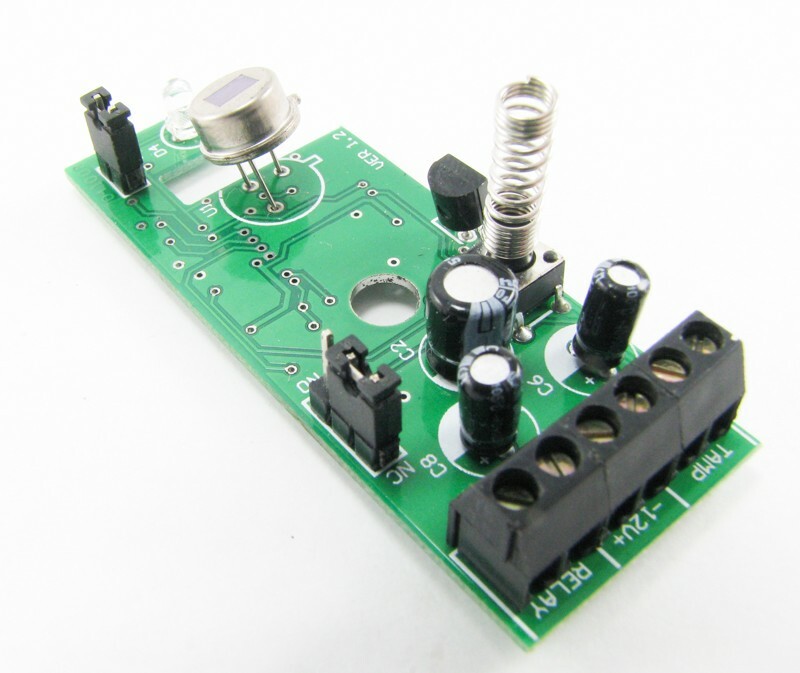 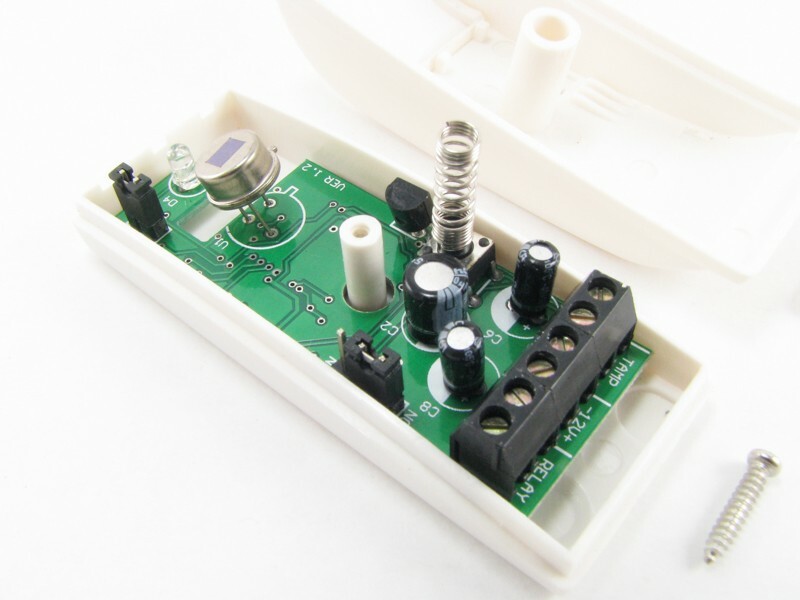 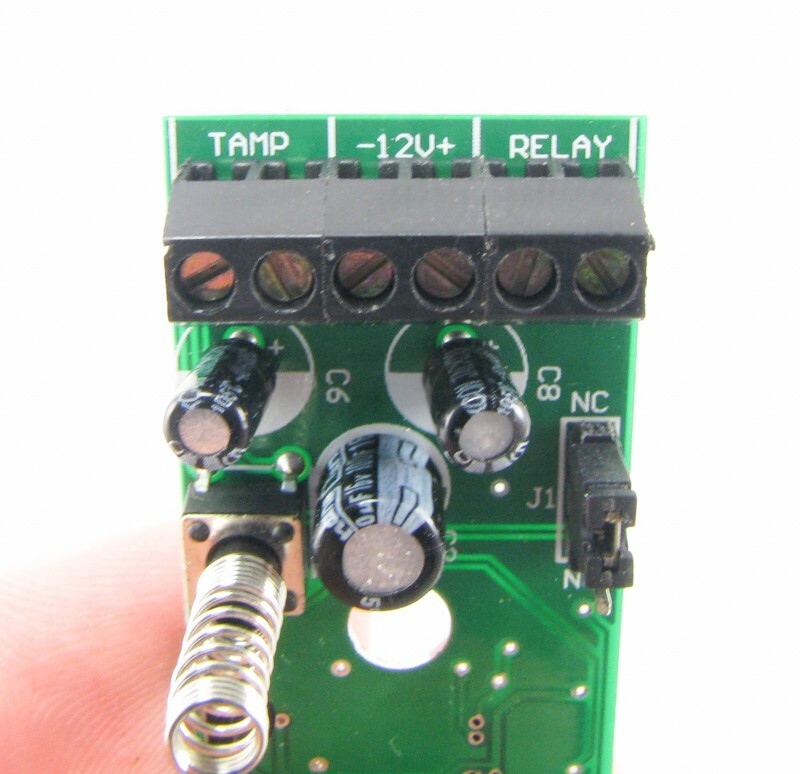 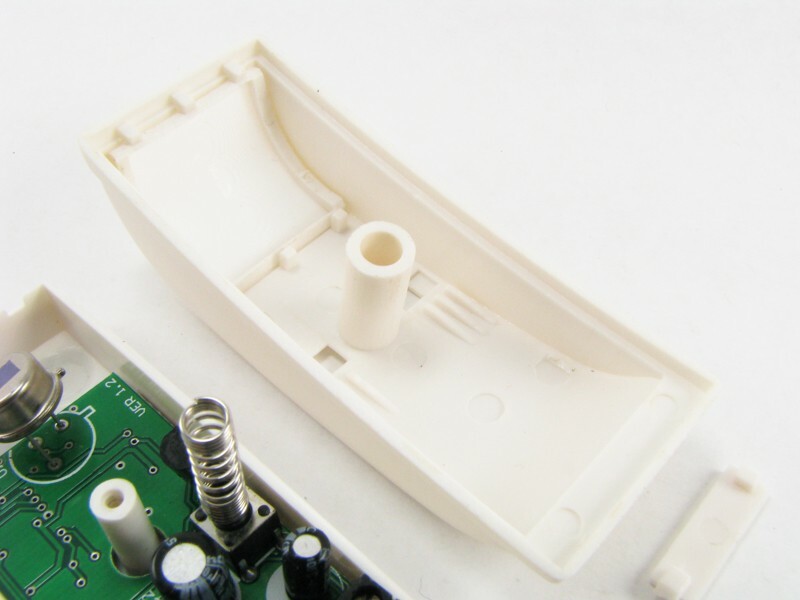 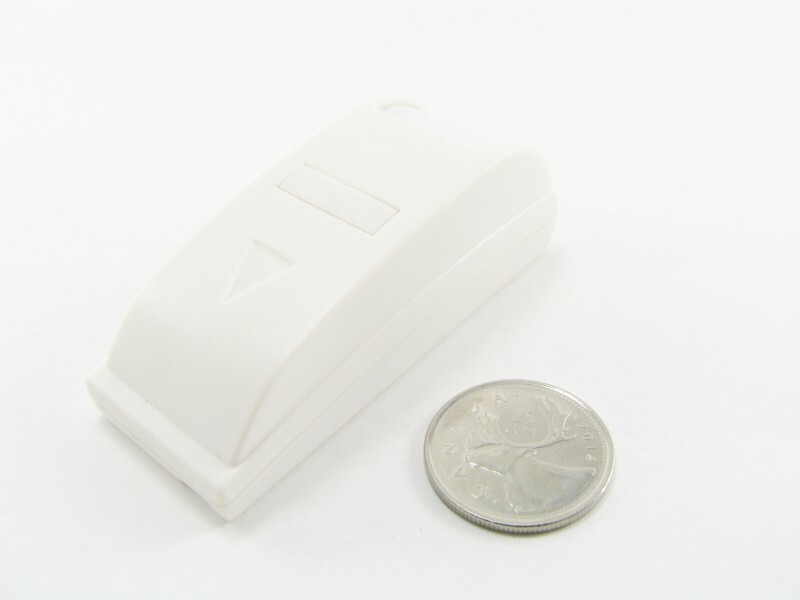 This is a Mini Curtain Motion Detector. 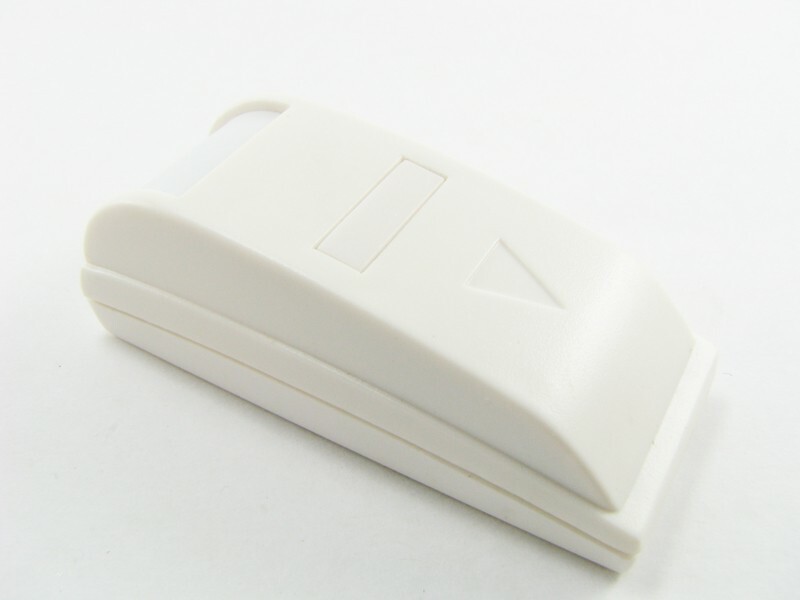 A curtain motion detector is used to detect someone walking across a path. 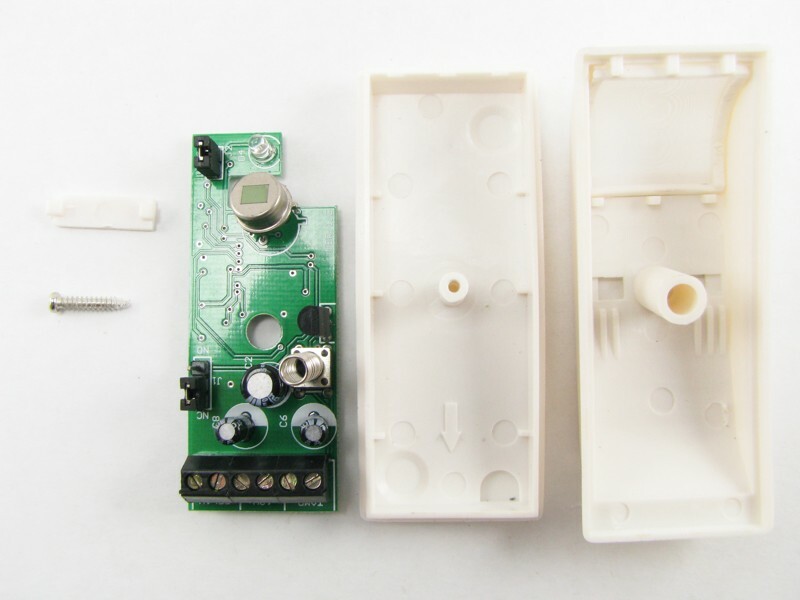 This is much different than a normal motion detector that would be used in a burglar alarm system since those types of motion detectors have a very large field of view. 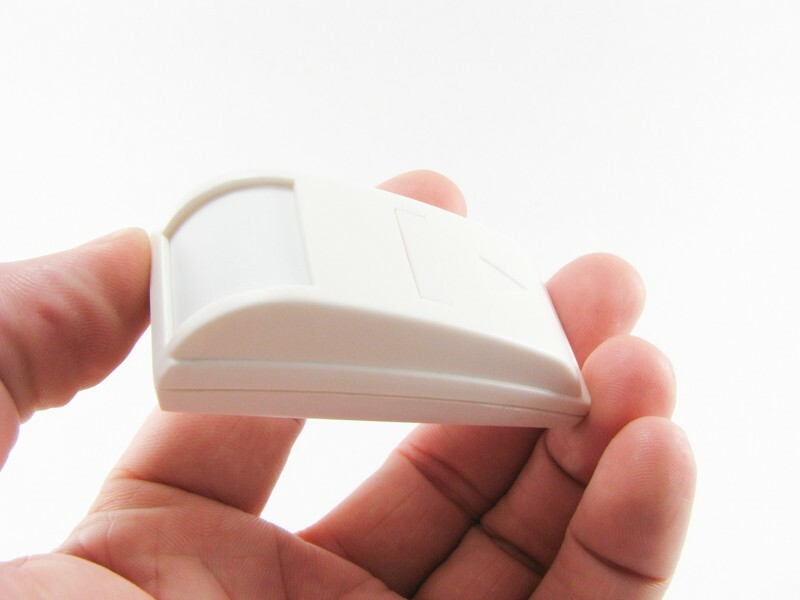 The motion detector can be surface mounted to a surface such as a drywall wall or ceiling. 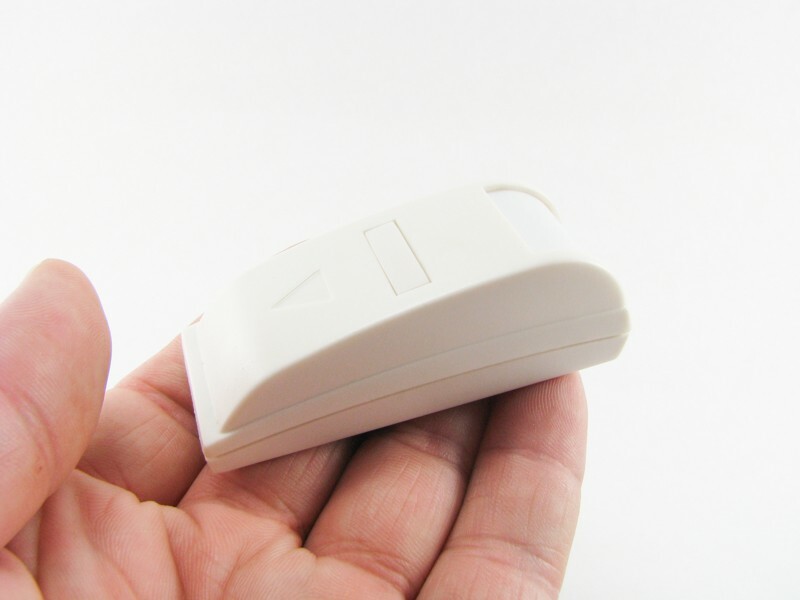 This device can sense people and animals. 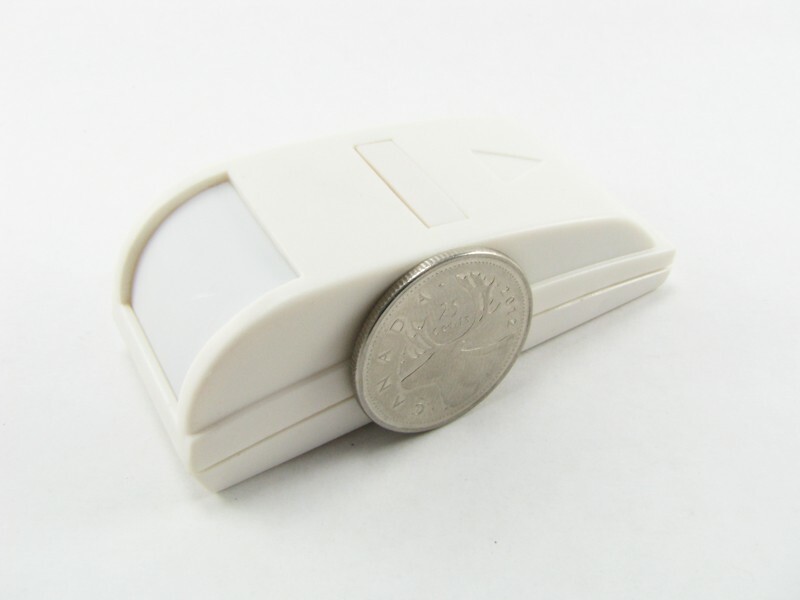 The motion sensors are 7cm tall, 2.5cm wide and 2.5cm thick. 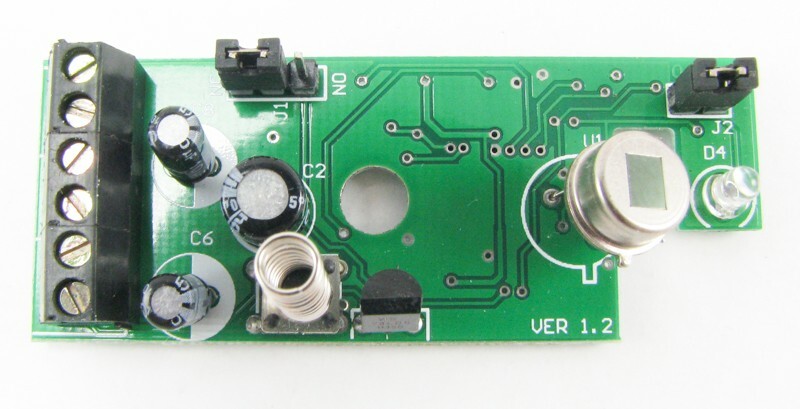 This device is a N/C (normally closed) style only.